You must make reservations at least 5 minutes in advance of the time at Café Milano. Very nice. In the heart of beautiful Georgetown this modern Italian place is rumored to be the place to go and be seen. Reservations were hard to get the afternoon of our visit but we were looking fir a late late lunch and when we arrived at 4:30 we were far from the only diners. We had a rack of lamb and the meat and bruschetta appetizer. Both good. If I had it to do again I would order the whole fish covered in salt. No dessert was to my liking so we skipped it and went around the corner to try some dough. Go. Enjoy. Try to sit at the window as we did and watch the world go by. The food was amazing. 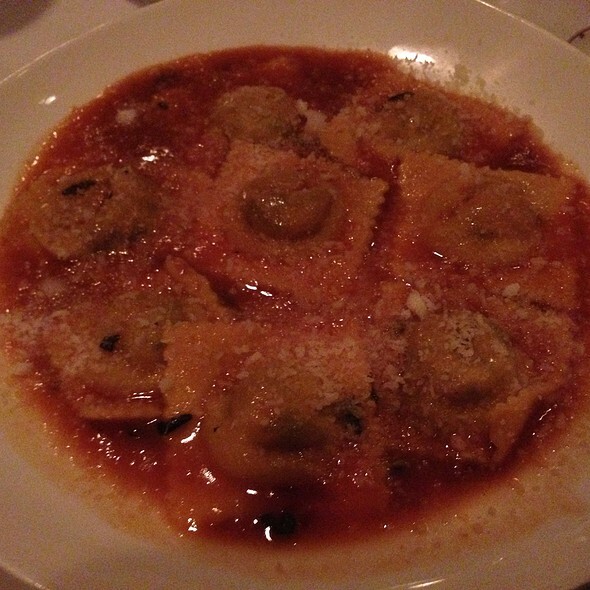 I highly recommend the ravioli dish. Excellent service and food was exceptional. A great special occasion place. All was delicious and dessert presentation was spectacular! We will return for sure. Lovely and gracious service; excellent food; the only negative was the noise level. Birthday. The entrees are pricey! Disappointed. From the food to the wine list and service. I totally understand a pricey food when is good, that was not the case there, the food was sooooo average, but a overpriced crap wine is unacceptable. Hosted a group of 8 in DC this weekend and had to make sure they experienced Cafė Milano. Initially, we were disappointed that the round table by the front window wasn’t ours... we were seated in the Placido Domingo room. Turns out it was considerably more quiet than the dining room so we could actually have conversations that included the whole table. (All the more special since years ago my husband and I were seated next to Placido, his wife and Zubin Mehta as they were preparing for The Three Tenors. He actually apologized for singing while we ate!). Everyone loved their meal, their wine and the atmosphere of this DC landmark. Service was outstanding. Really enjoyed. Food was great, great ambiance, vibe, etc. Everything was great, except noise level was a little high. 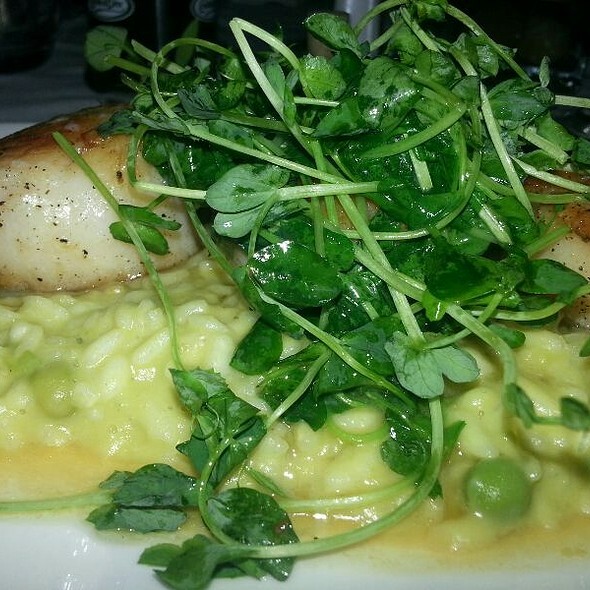 Food was great and service was very attentive. A bit too loud for us. We had trouble talking but food is outstanding as usual. Regretfully not our best meal there. Service was painfully slow. 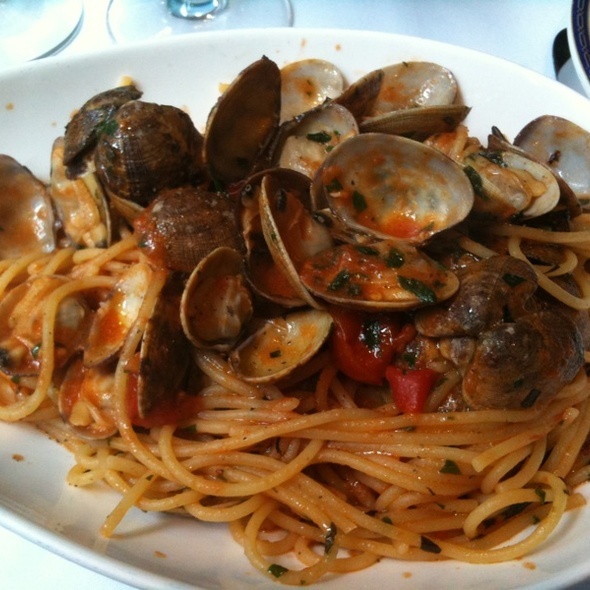 We visit Cafe Milano every time we come to D.C. it is a not to be missed restaurant. We were really looking forward to the dinner as the restaurant was recommended by friends. There was nothing wrong with the food or service, but nothing special either, so it might have suffered from our high expectations. Great restaurant!!! We recomend for sure !!!! Waiters very nice. Car lights kept shining through window. Food OK.
Have to say, very poor service which was unusual. Drinks took 25 mins! Had to ask where the drink were...two tables next to us were seated about 5 mins after we were, they had drinks and their 1st course before before we had our drinks! Food was delivered to our table that wasn’t ours. Actually placed down and then removed and brought to another table! Bread was delivered and passed in front of us, reaching across my guests, instead of going around. Pasta course looked like it was left under the heat lamps and was dried and not very appealing. Waiter never check back...it was frankly a very disappointing dinner and evening. I left word with the Maitre d’ Laurent, he took my name and number down...have not heard from anyone. Was a bit embarrassed having my clients there after they just purchased a $3.6 million dollar house and we were celebrating. Guess I won’t do that again at Cafe Milano. Food was great. Sat inside, a little chaotic due to loud folks at and around bar. Service was a little rushed as well. Several times we had to let them know that we were not yet finished. We ate at the bar— Max, our “mixologist “ was super. A real gem. We’ll be back! Service was horrible - from start to finish, horrible. Then to top it off, they gave us the wrong check at the end - which, of course was 3x more expensive than our check. 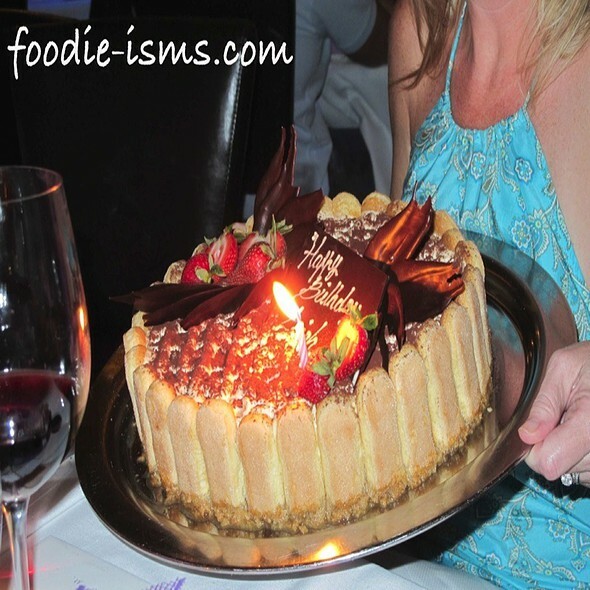 Food was mediocre at best - totally overrated restaurant - I am sure that people go only b/c it is a "scene"
Everything was excellent, but we resented that we felt rushed during the meal. Also, plates were removed before everyone had finished their entrée. Very good food. Service was great - until it wasn’t. Toward the end of meal no one checked on us or brought us check for a very long time. Would still try again. Staff was impeccable! Unfortunately food was not so good and extremely over priced, but well presented. Excellent wine choices. I came to celebrate my opening of my restaurant and the everything was perfect until my food was brought to wrong two times and I mean not even close to where I wanted but the manager was super awesome but my first experience I would need to come back and do over cause I wanted to come there for this occasion so bad! This was a nice surprise for us, a wine shop owner recommended this place which then we made a reservation - the wine was great and the recommendation was right on! we started with a fabulous Milano salad, lots of good veggies and nice dressing, fennel, radicchio, arugula, apple, was really good and good size too. then, I wanted to taste their Napolitano pizza, since the owner is apparently from there, we ordered a Scala and it was great, we ate a reasonable amount and took the rest for tomorrow's hike, it worked out. and then, we had the secondi, my wife had the angle hair with chicken, which was great, and I had the Mediterranean bass, branzino, which was great. 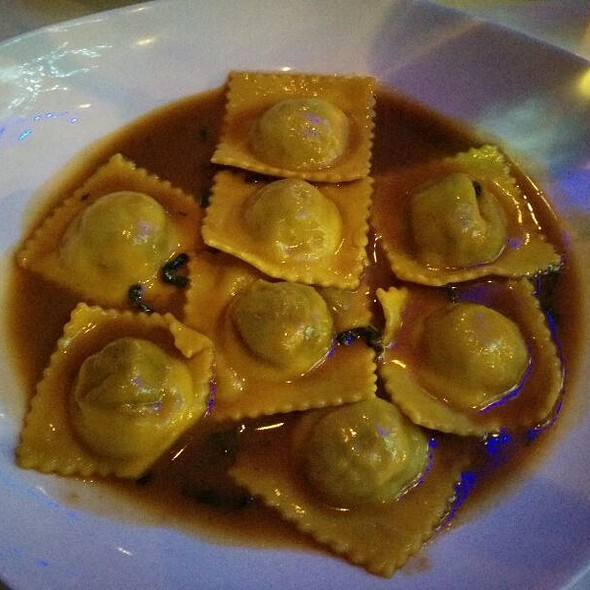 good pricing on booze and great service, this is a great Italian restaurant with 5-star food and 5-star service - highly recommended - price-wise, you pay for what you get, so, it is all good! 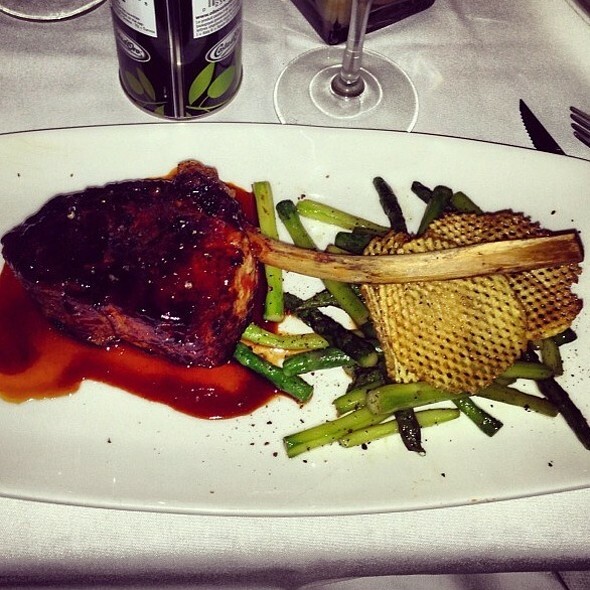 The Veal Chop Marsala and Veal Milanese were both excellent. 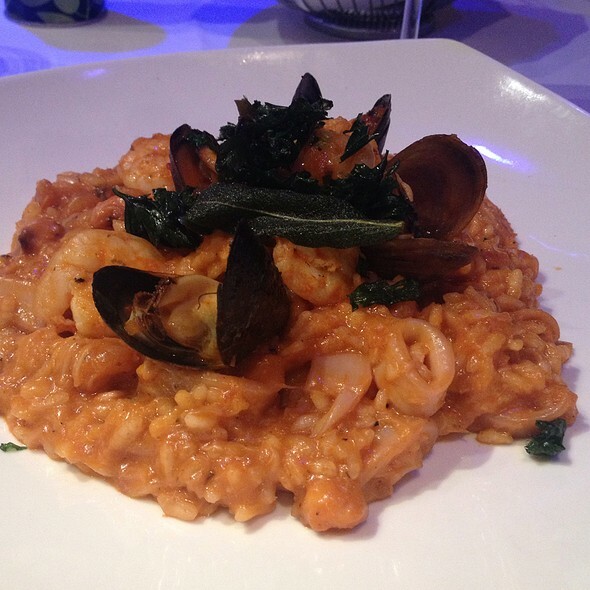 The service was impeccable, and there is a great atmosphere in the restaurant. The fruit platter for desert though was a bit underwhelming for $16. We finished both our appetizers and main course without the server checking on our food. Water glasses empty for some time. Received the bill while still eating dessert. Not what I expect from Cafe Milano. Truly authentic Italian food. I had the eggplant parmigiana and it was to die for. We had an early dinner reservation (6:15) on a Saturday and it was perfect. By 7:30 the place was full and quite loud. Still wonderful ambience though. Overall meal was over priced. Asked for a full body red and there brought us a young light bodied wine. Next time I promised myself that I will send it back.